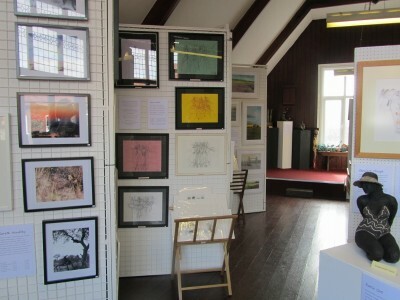 Pop-up exhibitions in random places have been a great success for me and all the artists who have exhibited. It started with 'Art At The Courthouse' in Princes Risborough and more recently progressed to Haddenham with 'The British Wildlife Exhibition' in collaboration with Tiggywinkles. I am currently planning a 2nd 'LIFE ENHANCING' art exhibition at the 'JAM FACTORY' restaurant, gallery & bar, 27 Park End St, Oxford, OXI 1HU, but before that we have the LONGWICK ARTSHOW 2019 on 23rd & 24th Feb...which will be the best ever!! We have new artists with exciting techniques/styles!! 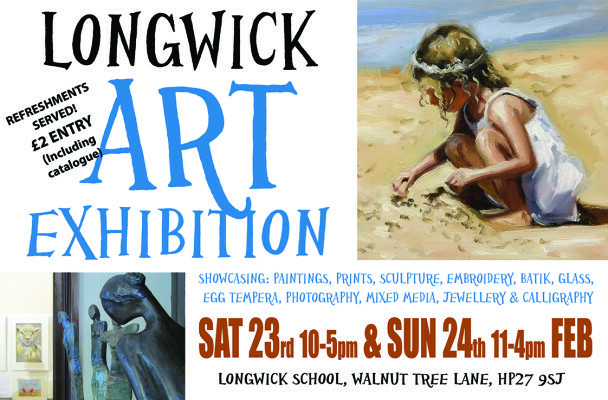 The Longwick Artshow 2019 will proudly showcase over 500 pieces of framed work/Sculptures from a staggering 70 Professional and Amateur Artsists. This outstanding collection of diverse styles is to be displayed throughout Longwick School on Feb 23rd and 24th...come along and be inspired!!! 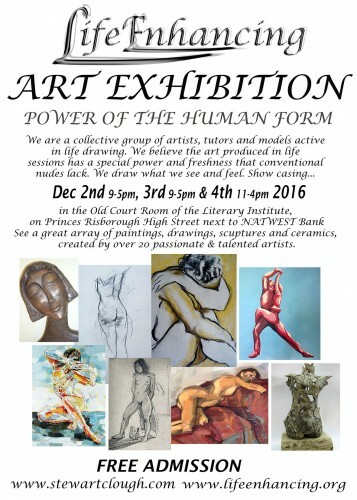 LIFE ENHANCING ART EXHIBITION - Power Of The Human Form II ...yes it's back after the great success of 2016. 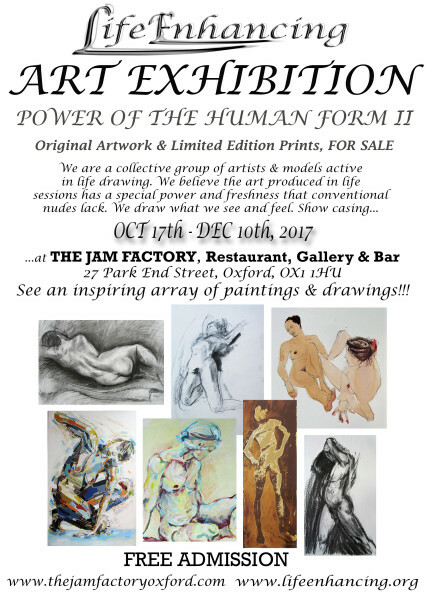 Experience an array of stunning drawings & paintings at the 'THE JAM FACTORY' restaurant, gallery & bar, 27 Park End St, Oxford, OX1 1HU...Oct 17th - Dec 10th, 2017. Life Enhancing Congratulations to Dermot on the successful launch of a brilliant new website where you can buy Contemporary Life Art - Originals and Limited Edition Prints. We are a group of artists, tutors and models active in life drawing. We believe the art produced in life sessions has a special power and freshness that conventional nudes lack. We draw what we see. This may be an abstract design. Or a dynamic series of images on one page based on one-minute poses. 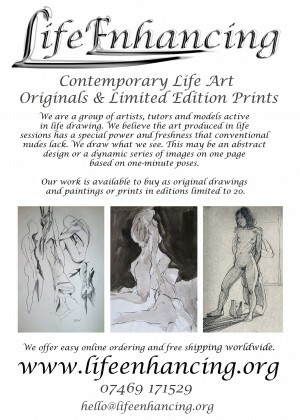 Our work is available to buy as original drawings and paintings or prints in editions limited to 20. It has been a great pleasure collaborating with the ‘Mayor of Thame’; Jeannette Matelot and this exhibition will be staged in the ‘Masonic Hall’ situated at No. 14 Thame High Street, just passed ‘Costa’ and ‘Time Out’ coffee shops. We have again searched high and low for new, passionate, talented, local artists, to inspire you and we are very proud to be exhibiting their work. 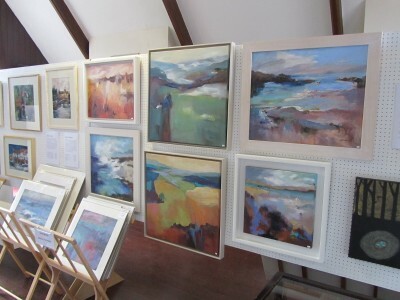 Art at No 14 is a unique collection of diverse styles from forty professional and amateur artists and we would be delighted to see you there to experience an array of stunning paintings, sculptures, glass, photography and jewellery. 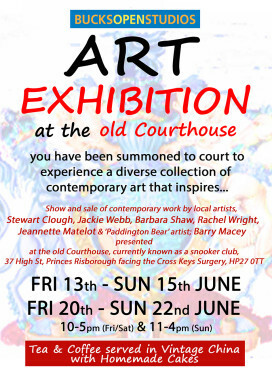 This is the second exhibition at No 14 – the Masonic Hall – and I am very proud, as Mayor of Thame, to have so many local artists showing their work. 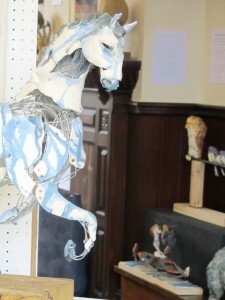 For an inaugural exhibition, last year’s exhibition was a great success. We raised money for one of my favourite charities, Safari and we shall continue to raise money for this unique group in Thame. Since then Stewart and I have become involved in art classes with the group and will be continuing this practical input this year. Please, please come along and see just what our community can offer to the art world. 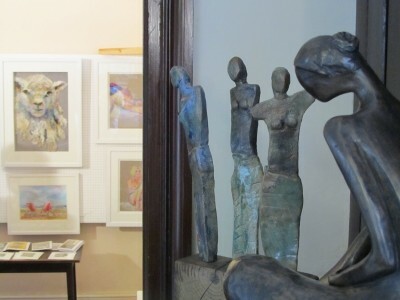 Following on from Bucks Open Studio and Oxfordshire Art Weeks you will be able to enjoy meeting the artists once again and getting to know their work. 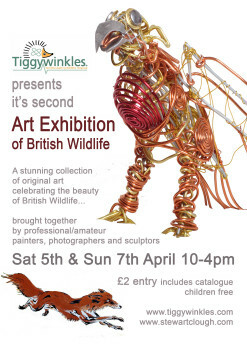 The British Wildlife Art Exhibition 2014...showcased inspiring art... Tiggywinkles successfully hosted its second art exhibition at the Tiggywinkles visitors centre in Haddenham, April 2014. We showcased inspiring art from passionate wild life artists, depicting a broad range of styles and media. The event was a great success!! 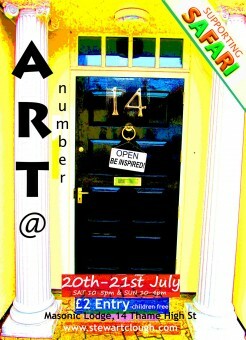 Art At No.14 was a great success and will now be an annual event. This inspiring exhibition produced the best sales from all my previous exhibits!! Well-done to everyone involved!! 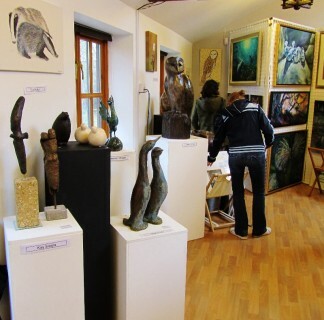 BOS @ TIGGYWINKLES The Tiggywinkles Studios, Aston Rd, Haddenham, HP17 8AF, have on-board a fine collection of Artists who are passionate about art and currently exhibit in all corners of Buckinghamshire. The Studios are situated in the beautiful settings of the Tiggywinkles Visitor Centre where visitors on the BOS trail will be well received. 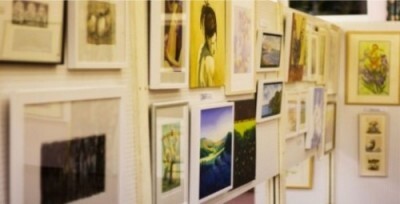 We hope you will meet our artists and indeed see an array of inspiring art depicting a huge range of styles and media!! 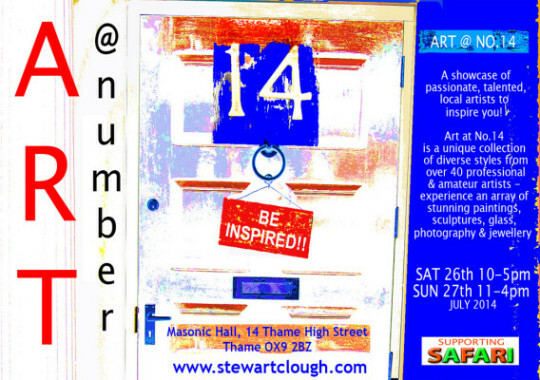 Art At No.14 Art At No 14...Launches 20th July at the Masonic Lodge in Thame High Street. Don't miss out on array of beautiful art!! Local Professional/Amateur Painters, Sculptors and Photographers will all be displaying their latest work!! 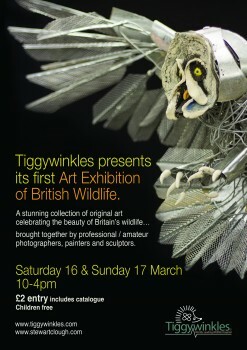 TIGGYWINKLES 1st EVER ART EXHIBITION!! 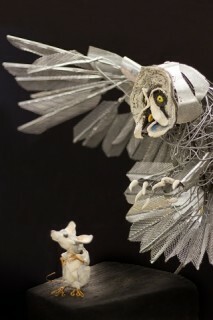 The Britsh Wildlife Art Exhibition overwhelmed all expectations! With a huge footfall and incredible sales! It has been a great pleasure collaborating with the ‘Tiggywinkles Team’ and this exhibition was staged in their prestigious Red Kite Centre, positioned in the beautiful surroundings of the Tiggywinkles Visitor Centre. We searched high and low for new, passionate, talented, local wildlife artists, to inspire you and the array of work was stunning. The British Wildlife exhibition was a unique collection of diverse styles from 38 professional and amateur artists and consisted of paintings, sculptures and photography. 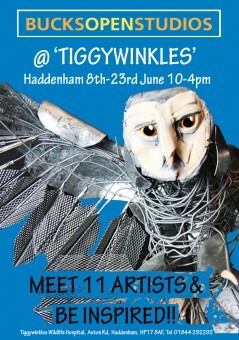 BUCKS OPEN STUDIOS AT TIGGYWINKLES COMING SOON!! 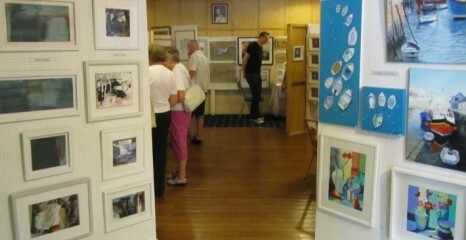 Art at the Courthouse The 'Art at the Courthouse' exhibition was a great success with over 600 visitors in one weekend! 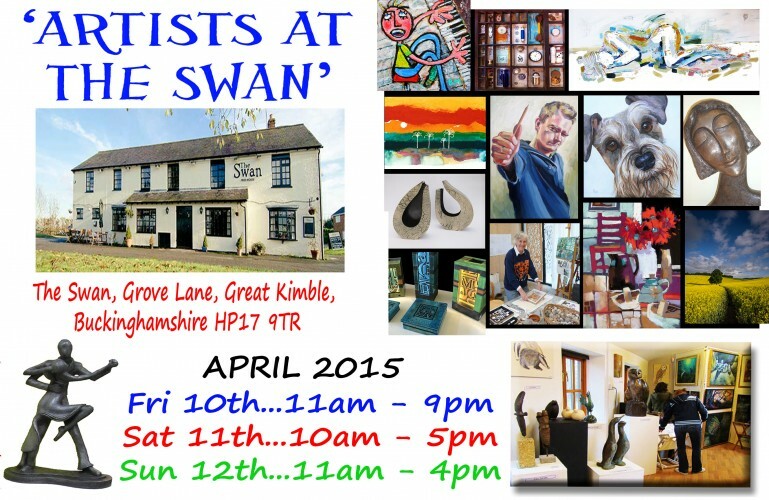 A delightfully presented exhibition which saw over 20 artists sell some of their work!! 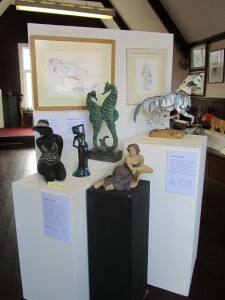 Longwick Artshow 2011 The Longwick Artshow attracted over 1000 visitors and exhibited an array of diverse Art to suit all tastes. 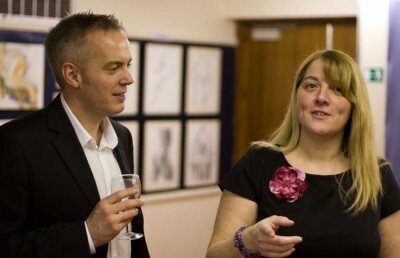 Picture shows former Artshow Chair; Colette Ballinger giving last minute advise to new Artshow Chair; Stewart Clough.